Location: former Irish Cone and Wafer premises, Kilmainham, Dublin 8. Proposed development: demolish on-site structures for a mixed-use scheme comprising 58 apartments. Applicant: Henry Farrell and Brendan Lawless. Appellant(s): Siobhan Couser, Henry Farrell and Brendan Lawless. Location: Bewleys Hotel, Simmonscourt Road, Ballsbridge, Dublin 4 (protected structure). Proposed development: use of Thomas Prior Hall as a hotel function room with ancillary private bar, satellite kitchen and toilet facilities. Applicant: Thomas Prior Ballsbridge Ltd. Appellant(s): V M O'Shea. Location: 27 29 Dunville Avenue, Rathmines, Dublin 6. Proposed development: demolish retail unit and apartment for a mixed-use scheme comprising one duplex apartment, retail and site works. Applicant: John A Kavanagh. Appellant(s): Belgrave Residents Association. Location: 108 Rathgar Road and 70 Rathgar Avenue, Rathgar, Dublin 6. Proposed development: part demolition of public house for a mixed-use scheme comprising five apartments, public house and site works. Applicant: Bartlett Inns Ltd. Appellant(s): Rathgar Residents Association. Location: South Strand, Skerries, Co Dublin. Proposed development: 11 apartments and site works. Applicant: Golden South Strand Partnership. Appellant(s): St Vincent de Paul Society and others, Robert McLaughlin. Location: Bunnyconnellan East (Chaffhill), Drumsheen, Ballina, Co Mayo. Proposed development: wind farm comprising 12 wind turbines. Applicant: Michael Mullarkey and others. Appellant(s): Michael Egan, Chris Moran and others, An Taisce. Location: lands bounded by Conyngham Road (north), River Liffey (south), Dublin Bus Depot (east), Longmeadow Apartments (west), Dublin 8. Proposed development: demolish all structures on site for a mixed-use scheme of 81 residential units, commercial, offices, crèche and site works. Applicant: Petrogas Engineering Ltd. Location: Unit 4-6 Stillorgan Industrial Park, Birch Avenue, Sandyford, Dublin 18. Proposed development: mixed-use scheme comprising 178 residential units, crèche, café, car-parking and site works. Applicant: Oceanscape Ltd. Location: former Asahi site, Tawnnaghmore Upper, Killala, Ballina, Co Mayo. Proposed development: 100-megawatt electricity power generating station, site works and services. Applicant: Mayo Power Ltd. Location: The White House, 21 Dalkey Avenue, Dalkey, Co Dublin. Proposed development: demolish house for four three-storey five-bedroom detached dwellings with roof-mounted solar collectors on each dwelling, off-street car-parking, landscaping and site works. Applicant: Iris OMalley. Location: 14.5-acre site bounded by Balcurris Road/Silloge to the west, Ballymun Main Street (also known as Ballymun Road) to the east, Silloge Road and part of the James Connolly Tower complex to the south and part of the Thomas Clarke Tower complex to the north, at Ballymun, Dublin 11. 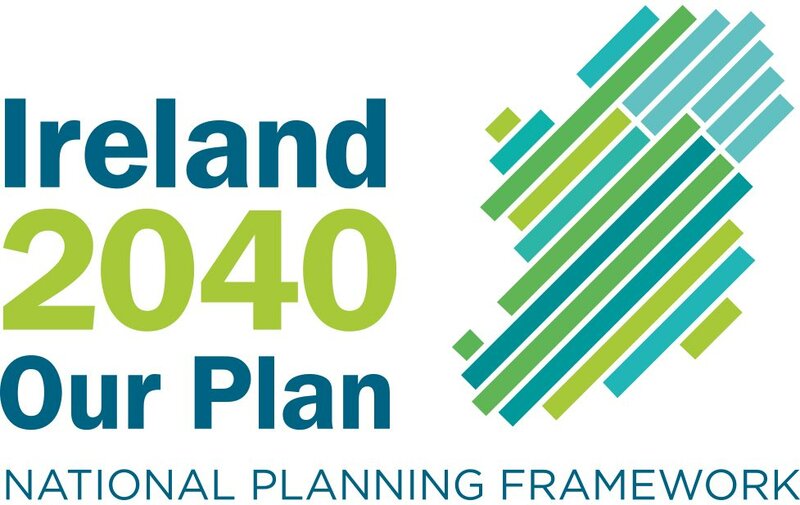 Proposed development: demolish all structures within the shopping centre site, including Ballymun shopping centre, Garda Station, AIB Bank, swimming pool, health centre and two public houses (Towers Public House and Penthouse Public House). New scheme to consist of 250,831sq m (2.67 million sq ft) of mixed-use space in eight blocks comprising 367 apartments (28 one-beds, 291 two-beds and 48 three-beds); 60,293sq m (648,988sq ft) of retail floorspace; 11,189sq m (120,437sq ft) of leisure space including an 11-screen cinema, bowling alley, family entertainment centre and child drop-in centre; 27,883sq m (300,130sq ft) of office space, including own-door offices and office suites; crèche of 365sq m (3,929sq ft); and 2,111sq m (22,723sq ft) of civic space to comprise of a public library. Provision of 2,185 car-parking spaces (50 at grade and 2,135 at basement level) and 795 cycle-parking spaces. The scheme ranges from four to seven storeys. Applicant: Ballymun Shopping Centre Ltd. Location: on lands (2.22 hectares) at 1-3 East Road, Dublin 3. The land is bounded by East Road to the west, East Quay Rail Yard to the south and Merchants Square to the east. Proposed development: demolish structures on site for a mixed-use scheme of 95,360sq m (1.026 million sq ft) comprising an hotel, offices, retail, gym and pool, healthcare centre and café/restaurant in four blocks from four to 17 storeys. Block A: six-storey building with a gym and pool at basement level; 149-bedroom hotel with restaurant, bar, meeting rooms, conference room and reception area. Block B: 17-storey building with retail floor space, café facilities, office reception area and restaurant. Block C: 12-storey building incorporating a healthcare centre, office reception area, auditorium, staff canteen and office accommodation. Block D: four to six storeys with a reception area and office accommodation. The four blocks will be above a shared three-storey basement car-park with 1,044 car-parking spaces and 580 cycle spaces. Access to the development is from East Road. Permission is also sought for a linear park from north-to-south on the site and for all site works and landscaping. Applicant: JP Ryan Sons (Properties) Ltd. Location: Convent lands between Sean McDermott Street, Railway Street and Gloucester Lane, Dublin 1. Proposed development: demolish 77 Sean McDermott Street Lower. Erect Block A: eight/nine-storey apartment block fronting Railway Street with 70 units (seven one-beds, 35 two-beds, 27 three-beds and one four-bed). Block B: eight/nine-storey apartment block with terraces and balconies fronting Railway Street and 73 units (12 one-beds, 22 two-beds and 28 three-beds) and a two-storey Crinan Project of 216.1sq m (2,326sq ft) of office/workshop space. Block C: six-storey apartment block with 23 units (10 two-beds, 12 three-beds and one four-bed). Block D: six storeys with 13 units (six two-beds, seven three-beds). Refurbish Convent Building (Block E) into apartments consisting of 18 units (eight one-beds, five two-beds, four three-beds and one four-bed). Block F: three/five-storey building bordering Gloucester Lane to provide Dublin City Council with a civic centre/one stop shop. Block G: four-storey office building incorporating the portico of the former Scots Presbyterian Church (protected structure). Provision of 181 car-parking spaces, site works and landscaping. Applicant: Kimtor Ltd. Location: Franklin House, 140-142 Pembroke Road, Ballsbridge, Dublin 4. Proposed development: demolish four-storey commercial building for office block of four to eight storeys. The offices will be in two blocks at both Pembroke Road and Shelbourne Lane which will be linked by a central glazed atrium. The lower ground floor level will have office accommodation and two sunken gardens, landscaping and site works. Applicant: David Daly. Location: 10-12 Lansdowne Road, Ballsbridge, Dublin 4. Proposed development: demolish three-storey office building for office block from one to six storeys with offices at lower ground floor level through to fifth floor level. Provision of 15 car-parking spaces at basement level; courtyard at ground floor level and sunken courtyard at lower ground level; site and landscaping works. Applicant: Irish Property Unit Management Services. Location: Hilton Hotel and McConnell House, Charlemont Place, Dublin 2. Proposed development: mixed-use development including offices, café, hotel extension and conference facility. Demolish five-storey office building (McConnell House) for a part eight-storey building of 6,719sq m (72,323sq ft) of office space with one café at ground floor. Works to the six-storey hotel include provision of an additional floor of 18 hotel bedrooms. 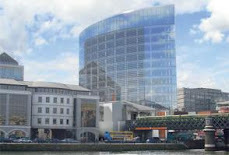 The revised hotel building facing onto Charlemont Place to comprise eight storeys; all external windows and glazed doors to the hotel to be replaced; new seven-storey extension to the rear (north) of the hotel to comprise two conference/function rooms, five meeting rooms, bars, lounges, foyer, gallery, and ancillary areas at basement, ground and first floor; 34 hotel bedrooms with health club, executive lounge and ancillary areas at third to sixth floors; increase in number of hotel bedrooms from 193 to 245 rooms. Applicant: Grattenlane Ltd. Location: former Gallagher's site at junction of Airton Road and Greenhills Road, Tallaght, Dublin 24. Proposed development: demolish three buildings for Block A (three single storey retail warehouse units and an external garden centre), Block B (two single storey car showrooms, security office and bin store), 229 car-parking spaces, landscaping and site works. Applicant: Tabmaz Partnership. Location: north of Naul Road, south of Flemington Lane, east of Clonard-Bridgefoot Road, west of Moylaragh, Balbriggan, Co Dublin. Proposed development: 1,057 dwelling units with five development areas on a site of 90.2 acres. The scheme is to be two, three and four storeys and will comprise four one-bed apartments, 292 two-bed apartments, 30 two-bed duplex units, 22 two-bed houses, 58 three-bed apartments, 234 three-bed duplex units, 85 three-bed houses, 45 four-bed duplex units, 206 four-bed houses and 81 five-bed houses. Provision of 1,999 car-parking spaces, landscaped open spaces, including public park, and site works. Applicant: Crescent Park Properties. Location: Mountgorry, Swords, Co Dublin. Proposed development: demolish dwelling for 16 residential units consisting of seven three-bed duplex units over nine two-bedroom own-door apartments with underground car-parking and landscaping. Applicant: P K OBrien. Location: Barnhill Road to the west, Ongar Village and Ongar Road to north, Hansfield Road and St Joseph's Hospital to east, in the townlands of Hansfield and Phibblestown and Barberstown and Phibblestown, Blanchardstown, Dublin 15. Proposed development: 284 dwellings; 2,291sq m (24,660sq ft) of commercial floor space and a village green of two hectares. The scheme will be in a range of two, three, four and five-storey buildings. The residential element will contain two one-bed units, 143 two-bed units, 124 three-bed units and 15 four-bed units. The commercial development will provide four retail units, two crèches, hot food units, off-license, public house and restaurant. The village green of two hectares will have a playground, two tennis courts, multi-games area and informal recreation space. Provision of 552 surface car-parking spaces. Applicant: Manor Park Homebuilders Ltd. Location: ground floor and first floor, Pier D, Link Building, Dublin Airport, Collinstown, Co Dublin. Proposed development: a ground floor and first floor extension to the south-west end of the Pier D Link Building incorporating a new lift, lift shaft and a new escalator. The extension also includes a new circulation route on the ground floor giving access from the new lift into the Garda Immigration Hall. All external finishes will match the Pier D Link Building and the north-east elevation will be finished with full height curtain walling. Applicant: Dublin Airport Authority Plc.